Elliott Equipment Company is building on its success. The V60’s versatility is legendary…and it just got better! 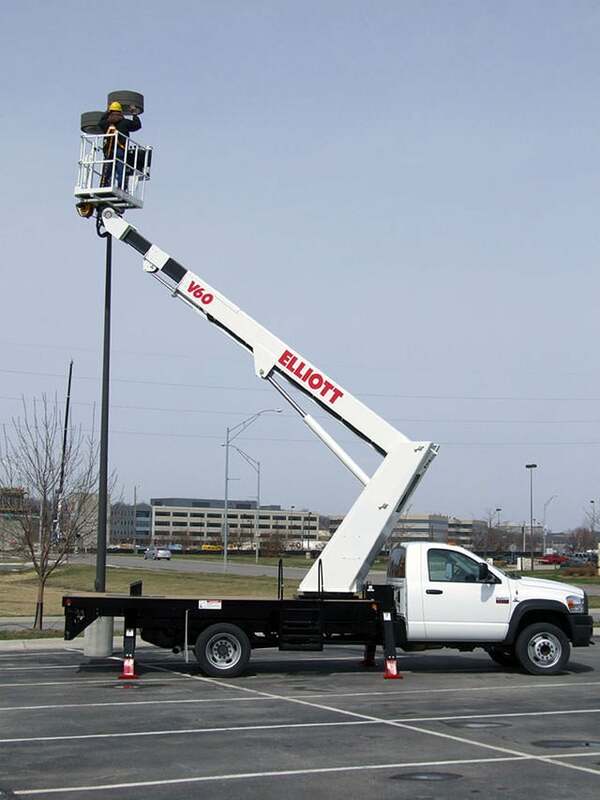 For years customers extolled about its 63-foot working height, 38 feet of working side reach, 30”X40” top-mounted platform with 500lbs. capacity material handling jib winch. 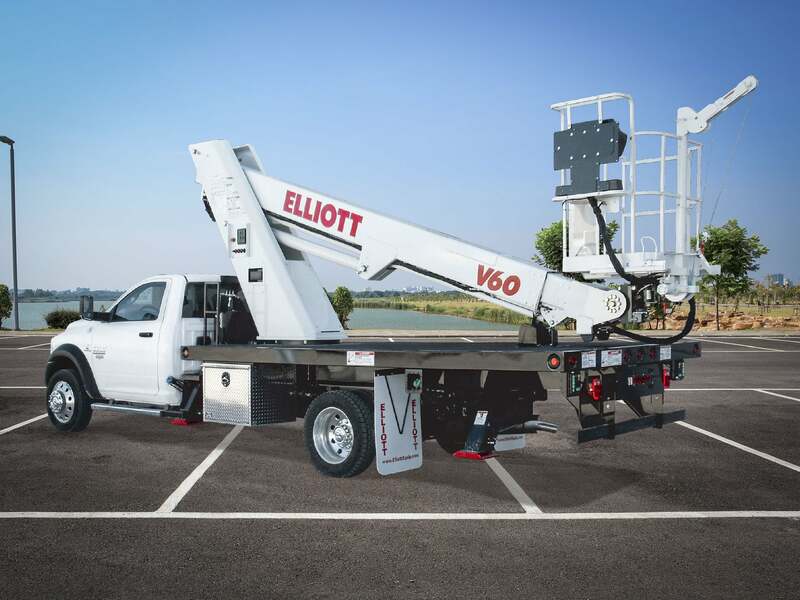 The new V60 features the jib winch quickly converting to a boom tip winch capable of 1,000 lbs. capacity when operated from the ground controls, giving it the best material handling capacity in its class while still mounting on a non-CDL, 19,000 GVWR chassis. In addition, the new SMARTcontrol system features one-touch outrigger leveling and stow, one-touch boom stow, proportional controls to meter speed of boom functions giving the operator greater control. The SMARTcontrol system is maintenance-friendly and features remote diagnostics and servicing ensuring the operator more up-time.